Russia also expressed its willingness to help Central Asian countries confront any threats from extremists in Afghanistan. India and Pakistan look set to become members of the Shanghai Cooperation Organisation (SCO) after the existing members expressed willingness to expand the grouping during a meeting of its foreign ministers that was held on July 31 in Dushanbe, Tajikistan. The foreign policy chiefs of Russia, China, Kazakhstan, Kyrgyzstan, Tajikistan and Uzbekistan also discussed the situations concerning Afghanistan and Ukraine, and financing of new investment projects. The situation in Afghanistan causes the greatest alarm to the member states. Russia said it supported the signing of a framework agreement for cooperation on border issues as soon as possible. According to Sergey Lavrov, this cooperation will focus on the struggle against the infiltration of terrorists and religious extremists into Central Asian countries. Moscow would like to see this document signed as soon as in September, when the SCO Summit will be held in Dushanbe. Russia, in particular, is concerned about the long and poorly controlled Afghanistan-Tajikistan border. According to the Kommersant, Moscow is preparing to provide military and technical assistance worth several hundred million dollars to Dushanbe in the period up to 2020. This includes both the provision of aircraft, small arms and communications equipment, and the expansion of a program of free training for the Tajik military in Russia. Kyrgyzstan will also receive over $1 billion towards similar causes. 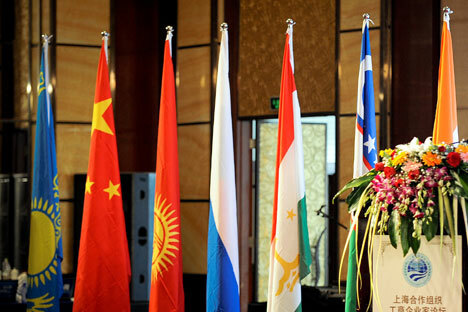 The participants of the meeting in Dushanbe managed to agree on the two important documents which define the procedure for the accession of new member states to the SCO: The Model Memorandum of Commitments to Obtain the Status of a SCO Member State and The Procedure for Granting the Status of a SCO Member State. There was considerable debate over these documents, relating to the size of membership fees, the rotating presidency which is carried out alphabetically (whether new members would receive the right to hold the presidency immediately or after a round has passed), as well as to whether decisions should be taken by consensus when there are a greater number of member countries. Now, after these issues have been resolved, we will have to wait for the approval of the relevant decisions at the Summit in September, and then we will be able to talk seriously about the accession of new member states to the SCO. The first candidates for membership are India and Pakistan. Iran has also submitted an application to join, but it won’t be admitted as long as it remains under sanctions. As to the financing of SCO investment projects, no consensus has yet been reached. Earlier, the Russian Federation proposed setting up a special bank account for this purpose. In contrast, China insisted on the establishment of a separate SCO Development Bank, the authorized capital of which Beijing is willing to contribute considerable funds to (the Chinese are offering $10 billion as an initial contribution). The rest of the SCO member states do not have available funds in such large amounts. In Dushanbe, Sergey Lavrov suggested a compromise: “the establishment of the SCO Development Bank on the basis of the Eurasian Development Bank which already operates successfully in the region.” However, this issue is unlikely to be resolved before the SCO Summit. Based on articles published by Itar-Tass and Kommersant.